Big Beast Quintet was an unsold animated pilot that was pitched to Nickelodeon. In 1989, kid-oriented cable network Nickelodeon decided to launch their own original animated programming, which they dubbed "Nicktoons." They commissioned eight pilots, and planned to choose the four best pilots to make it to series (though in the end, only three were chosen), with a targeted premiere in August 1991. Big Beast Quintet was created by Japhet Asher and George Evelyn of Colossal Pictures. 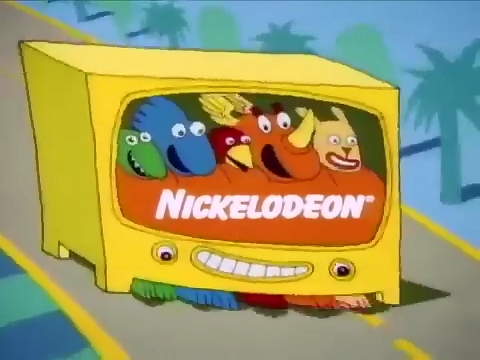 The idea was not original to the pilot, as the characters first appeared in an animated Nickelodeon station ID: five animals walked down the street, singing nonsensical lyrics, wearing orange shirts with a few letters on each. They walked inside a television set, rearranged themselves, and their shirts spelled out "Nickelodeon," which they sang at the end. The idea to pitch a series based on the bumper came from the idea that a show about characters the audience was already familiar with would make for a more successful series. The pilot was made in 1990. The characters were more fleshed out in the pilot. The Big Beast Quintet lived in the city of Animatropolis where they worked as news reporters for Channel Zero. Their boss, Nero Zero, who had a "nice-mean" switch on his head controlled by his assistant Bombat, sends them to Ice Cube Island to do a story on the Abominably Animated Man. They can't find him, however, and use a stage set to fake the broadcast, pretending to get lost. Big Beast, feeling guilty, goes out on his own to find the Abominably Animated Man. Nero Zero shows up to save the Big Beast Quintet but is upset to find only four of them on a fake set. But then, Big Beast shows up with the surprisingly friendly Abominably Animated Man and Nero Zero becomes nice again. The pilot has been described as having a silly Nickelodeon "feel," but it tested poorly. The concept of having a mean, angry boss was not something the kid audience could relate to, and the fake news story subplot went over their heads. Nickelodeon tried tweaking the concept with Colossal Pictures and a revised pilot, called Channel Zero, was pitched, but it was considered not funny enough to be picked up as a TV series. Unlike the original station ID, which is easily found on the Internet, the Big Beast Quintet pilot was never shown to anyone outside those involved in its production and the test audiences, nor has it been shared by its creators since, save for a presentation given by Linda Simensky in 1995 at the Society for Animation Studies Conference in Greensboro, North Carolina, where she showed the five failed Nicktoon pilots, as well as four others, to an audience of animation professors and historians. The reworked version, Channel Zero, has also never been seen. The Big Beast Quintet station ID. ↑ Big Beast Quintet Station ID on YouTube.